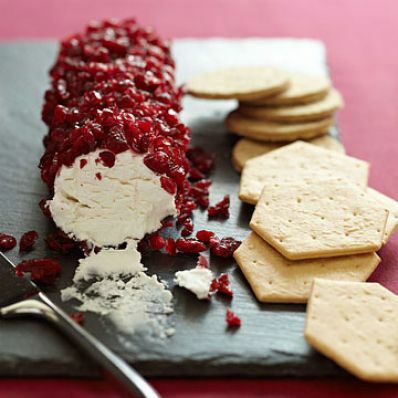 1 of 2 Roll goat cheese log in chopped cranberries. 2 of 2 Wrap in plastic and refrigerate. Serve with a few varieties of plain and whole-wheat crackers or sliced baguette.